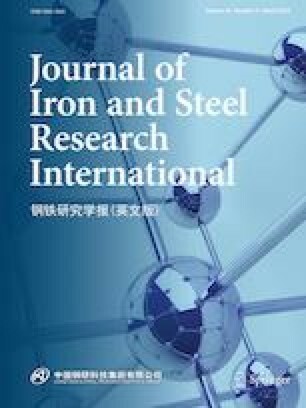 Three-dimensional investigation of sulfides is required in order to improve the mechanical properties of steel by controlling the sulfides in the steel. A method including its principles and device is introduced for the investigation of three-dimensional morphology of sulfides. The method is suitable for gear steel, free cutting steel, non-quenched steel, tempered steel (wS ≥ 0.02 wt.%), etc. The influences of current density, time, and temperature on the exposure degree of sulfide inclusions were investigated by using 16MnCrS5 steel. The best parameters of electrolytic etching of sulfur steel, as found by experimentation, are as follows: current density, 37.5–52.5 mA/cm2; time, 30–35 min; and temperature, − 10 to 0 °C. Under these conditions, the three-dimensional morphology of sulfide inclusions in sulfur-bearing steel can be exposed effectively. This work is supported by the National Natural Science Foundation of China (Nos. 51671124 and 51474142) and the State Key Laboratory of Development and Application Technology of Automotive Steel (Baosteel Group).